"I've come to appreciate the role of the architect as a representative of the project and as part of the team who could articulate the vision." As a chemistry professor at the University of Wisconsin – Madison, Bob McMahon has always been adept at studying how substances interact, combine and change to form new substances. But in 2009 Bob began to consider a different kind of chemical reaction – one that would transform his department’s outdated lecture rooms and teaching labs into a state-of-the-art instructional facility. The need had long been identified. As far back as 2000, when improvements were made to the Chemistry Department’s research facilities, officials knew they’d need upgraded instructional facilities. Leaky sinks, poor ventilation and battered lab benches were no setting for a modern-day science laboratory. The outdated facilities limited modern teaching methods. Safety was also a concern. In two of the three chemistry towers, there were no fire sprinklers. Most sections of the Chemistry complex hadn’t been improved since the 1960s. Nothing had been done since the Shain Tower renovation project in 2000. Bob, who had served as chair of the facilities committee from 1995 to 2013 and department chair from 2013 to 2017, was well-versed with the need for improvements. But he could not have known how much STEM education enrollment would expand over the following 20 years. The expansive general chemistry program would increase in size by 75 percent. And Organic Chemistry courses would more than double in enrollment. “That’s what’s brought us to this need,” said Bob, currently Co-Chair of the Facilities Committee. But the University didn’t have the property needed to expand until 2009 when UW finally acquired adjacent property. It was the critical step the department needed to move forward. While many people were involved in tasks from fundraising to programmatic design, it was Bob who created the compelling case for the project by showing the scope and impact of the instructional activities in the chemistry department. “There are various flavors to the chemistry department – physical, analytical, organic, inorganic… These teaching programs function as autonomous parts. I pulled everything together and showed what we do within a single department,” he said. 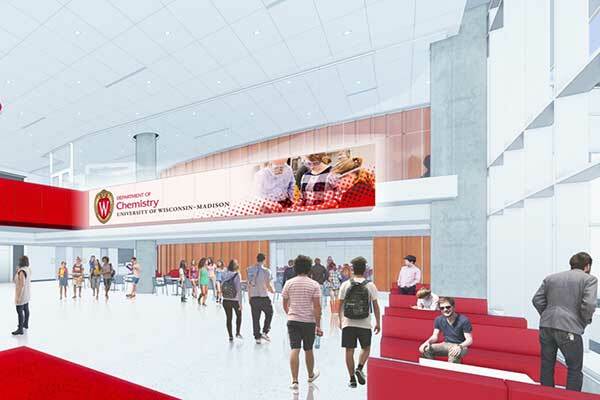 The $133 million expansion and renovation project, newly under construction, will add a 188,000 SF eight-story tower, and renovate another 45,000 SF of the Chemistry Building. The four-year project officially started with a groundbreaking ceremony on Sept. 14. The new tower will be constructed first, followed by the renovation of the existing facilities. The project is anticipated to be finished by early 2022. 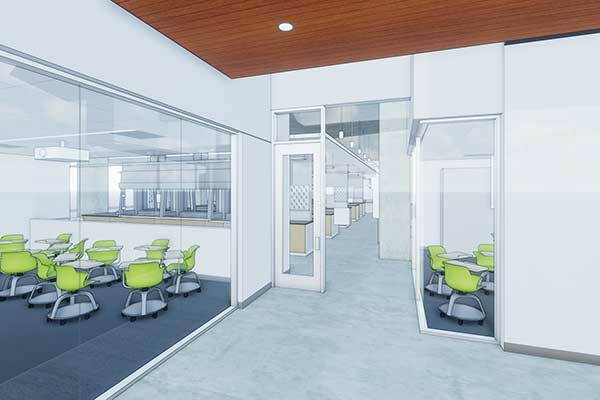 Besides important upgrades to ventilation and fire control systems the new and remodeled space will house lecture halls, active learning classrooms, offices and instructional labs for undergraduate general, organic, inorganic, physical and analytical chemistry. It will feature renovated chemistry labs and transform the Chemistry Library into an Information Commons. "We've been constrained for decades by facilities. To be able to unleash the talents of our staff, that's really exciting." The improvements will emphasize active learning techniques like small-group work. Spaces adjacent to labs will let students collaborate when analyzing lab experiments. The department also benefitted from some fortuitous timing: At the same time the facility was being planned, the department was reviewing its curriculum. Each was able to inform the other, custom-fitting the improvements into the updated curriculum. So just as the Shain Tower improvements helped with research, the improvements over the next several years will benefit teaching at the Chemistry Department. Bob couldn’t be more pleased. "I feel an obligation to the institution and to the next generation of students," he said. "I want this place to be as good as it possibly can."